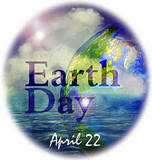 April 22 is Earth Day. Earth Day is a day to remember the natural environment we inhabit, become aware of our environmental footprint, and take action helping preserve the Earth for future generations. 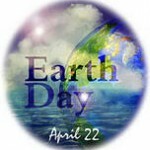 What are ways we can honor Earth Day and reduce our environmental footprint? Simple ideas are planting an organic vegetable garden, walking or biking instead of driving, purchasing produce from your local farmers’ market, or taking reusable cloth bags when shopping, instead of using paper or plastic bags. Each one of these helps lessen our environmental footprint and are visible ways to inspire others to honor Earth Day, not only today but everyday. We need to remember to take these Earth Day actions and make them habits. Saving water by turning it off while brushing your teeth on April 22 does no good, if you let it run freely the remaining 365 days this year. We have to be conscious of conserving our non-replenishable resources. Today is a good day to take a look at your environmental footprint at http://act.earthday.org/footprint-calculator and www.myfootprint.org/. Both websites show how your lifestyle affects the Earth and provide tips for reducing your footprint. Knowing your environmental footprint helps you become more conscious of your daily habits. What ways will you reduce your environmental footprint to honor Earth Day and how will you turn these actions into habits? The future of Earth is in our hands! It’s appropriate time to make a few plans for the future and it’s time to be happy. I’ve discovered this post and if I could I want to advise you few fascinating issues or suggestions. Perhaps you could write later articles regarding this article. I hope to see more things approximately it! 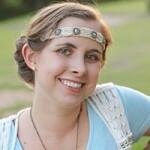 I am looking into writing future posts regaring “reducing your environmental footprint.” Thanks for your comment!